This study assessed the association between glucose-lowering drug (GLD) use, including metformin, sulphonylurea derivatives and insulin, after breast cancer diagnosis and breast cancer-specific and all-cause mortality. 1763 breast cancer patients, diagnosed between 1998 and 2010, with type 2 diabetes were included. Cancer information was retrieved from English cancer registries, prescription data from the UK Clinical Practice Research Datalink and mortality data from the Office of National Statistics (up to January 2012). Time-varying Cox regression models were used to calculate HRs and 95 % CIs for the association between GLD use and breast cancer-specific and all-cause mortality. In 1057 patients with diabetes before breast cancer, there was some evidence that breast cancer-specific mortality decreased with each year of metformin use (adjusted HR 0.88; 95 % CI 0.75–1.04), with a strong association seen with over 2 years of use (adjusted HR 0.47; 95 % CI 0.26–0.82). 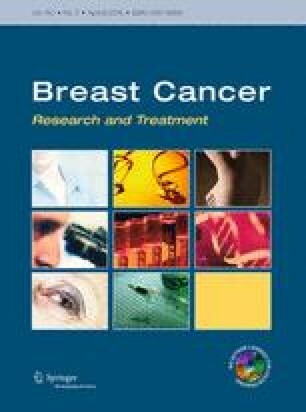 Sulphonylurea derivative use for less than 2 years was associated with increased breast cancer-specific mortality (adjusted HR 1.70; 95 % CI 1.18–2.46), but longer use was not (adjusted HR 0.94; 95 % CI 0.54–1.66). In 706 patients who developed diabetes after breast cancer, similar patterns were seen for metformin, but sulphonylurea derivative use was strongly associated with cancer-specific mortality (adjusted HR 3.64; 95 % CI 2.16–6.16), with similar estimates for short- and long-term users. This study provides some support for an inverse association between, mainly long-term, metformin use and (breast cancer-specific) mortality. In addition, sulphonylurea derivative use was associated with increased breast cancer-specific mortality, but this should be interpreted cautiously, as it could reflect selective prescribing in advanced cancer patients. This study is based partly on data from the Clinical Practice Research Datalink, obtained under licence from the United Kingdom Medicines and Healthcare products Regulatory Agency. However, the interpretation and conclusions contained in this study are those of the authors alone. The authors declare no conflict of interest relevant to this article. C.R.C was supported by a United Kingdom National Institute for Health Research awarded Career Development Fellowship funded by the Health and Social Care Research and Development (Public Health Agency, Northern Ireland), which also funded access to the Clinical Practice Research Database dataset. The funders had no role in the study design; collection, analysis and interpretation of the data; writing of the report; or the decision to submit for publication.